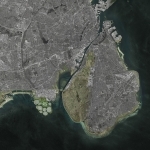 The Danish Government and Mayors of Greater Copenhagen announces the plans for 3 million sqm land reclamation. The vision, designed by URBAN POWER architecture & planning, deals with urgent environmental and commercial challenges of the metropolitan area. 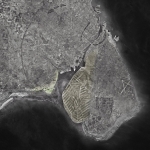 The nine Islands, called Holmene (the Islets), located just 10 km south of Copenhagen, is the largest land reclamation project in Scandinavia in the years to come. They address several needs in the area: A growing demand for sites for knowledge intensive industry, fossil-free energy production and a flood barrier to secure both existing and future areas. Furthermore it adds an enormous public accessible natural area for sports, recreation and improved biodiversity. 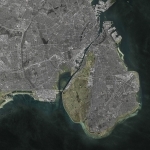 An essential part of the land reclamation, URBAN POWER designed an area reserved for green technologies and the biggest Waste-to-Energy plant in Northern Europe. Bio waste and waste water from the regions 1.5 million citizens, is handled here and turned into clean water, resources and biogas. 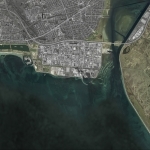 Together with heat storage, wind mills and other green technologies, an annual reduction of at least 70.000 tons CO2 and production of more than 300.000 MWh fossil free energy: Equivalent to the power consumption of 25% of the population of Copenhagen city. An important step towards the green transition. The high level of ambitions lead to the involvement of URBAN POWER. 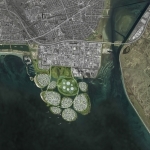 Their strategic design introduced a group of islands rather than a traditional massive land reclamation.“The strategy has several advantages: It can be developed stepwise without leaving the impression of an unfinished project, if a new economic recession appear. 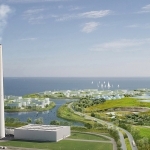 Furthermore the islands can be thematically developed, leaving the best conditions for the innovative industry and research within green tech, bio tech, life science and future yet unknown sectors”, says Arne Cermak Nielsen, partner of URBAN POWER. 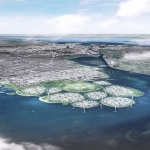 He adds: “The quality of being by the water should not be underestimated, and the shores of the islands and the delta that emerge between them has a unique potential”. 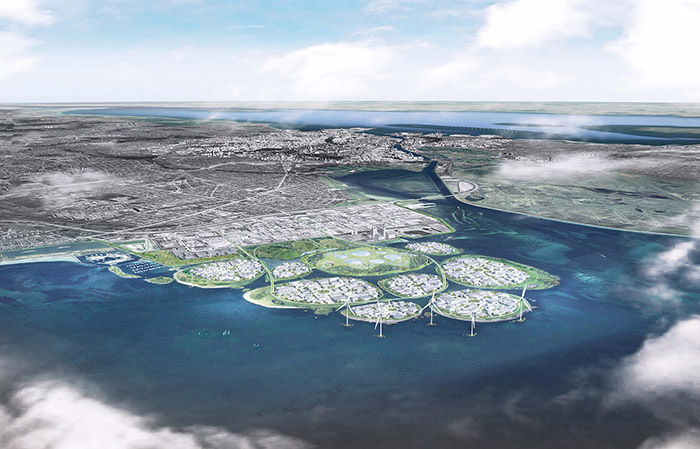 As a result each island will have a green belt of nature, that ensures attractive transitions between land and water. The diverse landscape invite for sports and activities in some areas and recreation in others. There’s even several small islets and reefs inaccessible for humans, to provide the best conditions for nature and wildlife at land as well as in the water. Surplus soil is the backbone of the land fill. It finance the construction of the islands and solves an urgent challenge of surplus soil from the regions subway and building projects. 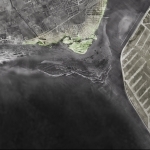 The soil will additionally be used to create a natural protective landscape along the existing coastline: It makes the landscape resilient towards future floodings and provides an improved network of 18 km bike routes i green surroundings. 9 islands with industry and accessible natural areal for sports and recreation Several inaccessible islets and reefs for untouched nature. 2,3 million square meter industrial area 0,7 million square meter natural areas. Constructed by 26 million cubic meter of surplus soil. Income from surplus soil and sale of plots, 480-540 million euro Construction cost, expected 425 million euro. Estimated 380 new businesses and 12000 jobs BNP growth, up to 7 billion euro.